After a test at Donington Park yesterday (February 2), Avon’s latest tyres for the 2006 British GT Championship have been ‘signed off’, after what Piers Masarati called a “stonking test”. “These new Avons are just fantastic to drive on, I am amazed that we have managed to go that much quicker with such a low ambient temperature,” said the Trackspeed man – clearly delighted to be back at the wheel, and for a long test too. “Some of the drivers who were out on them for the first time were convinced the tyres must be very soft, to grip so well in the cold, but at the end of a 60 lap test they showed hardly any signs of degeneration! Maserati lapped in a 1:11.2 in the GT3 Porsche, seven tenths faster than pole position at the circuit last April. 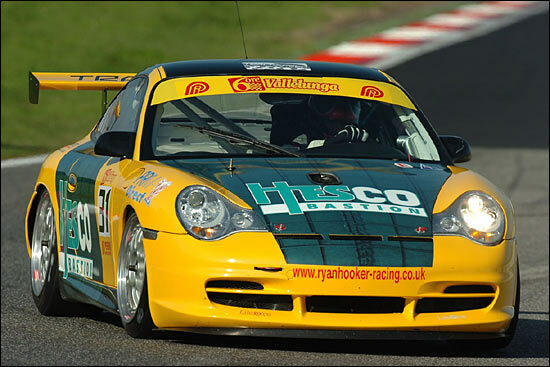 The Jones brothers were testing their Eurotech / Preci Spark GT2 Porsche yesterday too. The image shows the Trackspeed car, on Avons, on the way to a class victory at Vallelunga last November.